Field Day marked a flurry of activity from Aphex Twin over the weekend having closed out the London festival's new Barn stage on Saturday night after an exclusive limited record featuring a collection of new tracks from the producer had gone on sale at the festival earlier in the day. The records seem to have sold out by 2pm and as you might expect, some copies have appeared on Discogs since attracting rather substantial asking prices. 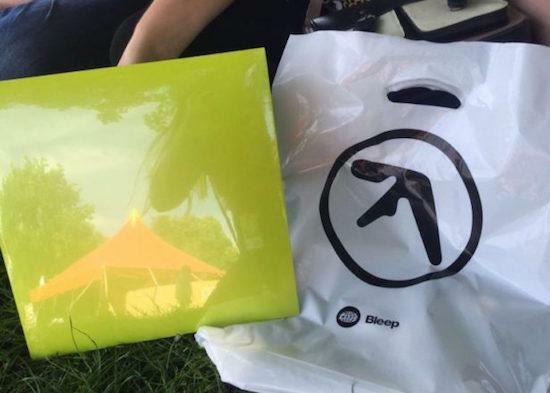 The record came in an unmarked chartreuse sleeve, and features 11 tracks in total - some of which were played during his headline set at Field Day. Aphex Twin's set spanned just under two hours in total as he brought the day to a close, playing music from producers such as Kamixlo, Chino Amobi and Lorenzo Senni, alongside a selection of material from himself across many aliases. You can watch the NTS stream of his set back here.